Hyperpigmentation is the most common skin disorder seen at skin care facilities, and one that every client wants corrected. It effects both menand women and is a whole-body skin condition. Many skin care products claim that their lightening agent is the gold standard, but the stars in the industry shine. By learning about each ingredient, estheticians can effectively treat this disorder with menus and retail lines. By choosing the treatments and retail programs that deliver results, estheticians can generate significant returns with repeat appointments and loyal clients. Hyperpigmentation and its treatment has become more prominent in the last decade, due to both environmental and lifestyle habits as well as better ingredients. The Baby Boomer population has aged, and their sun-damaged skin is now showing the negative impacts of tanning without UV protection or with inadequate UV protection. UV radiation is now stronger than it was decades ago due to a depleted ozone layer, and increased environmental oxidants are taking their toll. More people are taking anti-aging hormone therapies and birth control pills, which generate additional sun sensitivities. In addition, people with ethnic and darker skins also are looking to enhance skin evenness and want to be represented in product offerings. As a result, more attention is being put into the development of innovative ingredients and high-tech formulas to treat hyperpigmentation. These technologies can be utilized by the esthetician to effectively treat clients; however, every product features some hyperpigmentation hype. Therefore, it is important for the esthetician to understand ingredients for hyperpigmentation, and they must start at the types and their causes. Hyperpigmentation is an increase of melanin, the natural substance that gives skin its color and pigment, causing darkening of the skin. It appears in several different forms. Melasma is a patchy brown discoloration that occurs on sun exposed areas of the face typically during pregnancy or as a result of hormonal pills like birth control. Post-inflammatory hyperpigmentation causes dark spots when skin is inflamed due to acne, eczema, psoriasis or other inflammatory conditions, particularly in darker skin types. Finally, sun damage one of the most common forms of hyperpigmentation, consisting of dark spots and freckling of the skin due to sun overexposure. Hyperpigmentation can be caused by both internal and external factors. Internal factors such as hormones, stress, nutrition, medical treatments and any other factor that changes the body’s natural regulatory functions can all result in excessive pigmentation on the skin. External factors are caused by the environment and include exposure to harsh weather conditions, sun exposure and physical touching/rubbing of the skin, which can all cause hyperpigmentation. Therefore, things like allergies, climate, clothing, chemicals and heat can all have a negative impact on the skin pigmentation. Often, lightening treatments would be more effective if preceeded by thorough exfoliation, and these two are not combined in consumer products. This is where a clinical esthetician’s expertise enables them to provide more effective results and more lucrative returns by being ingredient and service savvy. To reduce both hyperpigmentation and skin aging, choose effective exfoliating ingredients that heighten the production of collagen and retain skin moisture. Since a study came out pointing to the “presumed” toxicity of hydroquinone—the gold standard in skin lightening—the market went wild with innovations featuring natural ingredients to gently transform skin. Many consumer product manufacturers tout natural extracts to treat hyperpigmentation. These ingredients are not always as effective on their own as they are in combination with some of the stronger ingredients available, and most pale in comparison to tried and tested lightening ingredients. However, each may have its time and place during your services. All the following ingredients and routines are effective in the treatment of hyperpigmentation. Discipline and continual use of the best chosen routine will yield results. Alpha hydroxy acids (AHAs). AHAs exfoliate and increase epidermal cell turnover, causing more melanin to be removed from the skin. As a result, AHAs enhance the effectiveness of other treatments, such as hydroquinone or other tyrosinase inhibitors. AHAs allow for better penetration of vitamin A derivatives such as retinol and retinoic acid to resurface the skin. High-strength AHA peels also reduce skin discoloration. Arbutin. An alternate and gentler form of hydroquinone, arbutin suppresses melanin and lightens skin. Derived from a small evergreen bush called the bearberry, it is a favorite extract used in the formulation of many major brands. It has fewer side effects than hydroquinone at similar concentrations and can be found in concentrations of 3 to 7%. It should be used once to twice daily in conjunction with AHA or retinol/tretinoin for better absorption and penetration. It can also be used in conjunction with fruit enzymes. Results typically take three to six weeks. Fruit enzymes. Fruit enzymes exfoliate, brighten, smooth age spots and brighten skin. Incorporating a cleanser, peel or facial mask with fruit enzymes a few times a week is an easy and effective way to integrate gentle skin renewal into a skin lightening regime. Green tea. An excellent antioxidant, green tea helps prevent skin damage and protects skin from darkening and aging. Ingredients such as pineapple, papaya, green apple and green tea, when applied topically, can thicken the epidermis and prevent skin discoloration due to its antioxidant and detoxifying properties. Green tea extract can be incorporated into any of the products in your skin care routine. However, if you incorporate it into your finishing products—toner, serum, moisturizer or sunscreen—you will benefit from increased results. Hydroquinone. A naturally occurring substance in many fruits and grains, hydroquinone suppresses melanocytes that produce pigment of skin cells. It prevents the formation of new hyperpigmentation but does not reduce existing hyperpigmentation formed at the dermis. It is available in over-the-counter and prescription forms. Kojic acid. An effective antioxidant extracted from several species of fungi, kojic acid breaks down melanin and prevents its production in the skin. This natural compound is used at 4% or more for balanced, yet effective results. Licorice extracts. Licorice extracts have long been used to effectively brighten skin and protect it from forming melanin and dark pigment. Mandelic acid. With efficacy against difficult cases of melasma and the ability to create a more uniform complexion, mandelic acid is more gentle on the skin than hydroquinone and steroids. It is recommended for daily home use for sensitive skin types. Effective treatment programs can use a combination of mandelic and phytic acids totaling 10%, in conjunction with 2% cosmetic hydroquinone or 4% kojic acid. Crushed pearl. Highly effective to brighten the skin, crushed pearl has been used for centuries throughout Asia and Latin America. Powdered pearl contains calcium carbonate and trace minerals that strengthen and lighten the skin fibers. When used in moisturizer, particularly in night cream, crushed pearl will brighten the skin and impart luminosity. Rice water. Rice water contains para aminobenzoic acid (PABA), which raises the vitamin C levels in the body. It also contains antioxidant and skin protectant ferulic acid as well as anti-inflammatory allantoin. It inhibits tyrosinase to prevent skin darkening. It smoothes and brightens skin immediately. Look for rice water in toner and facial moisturizers. Soy. A natural alternative to chemical lighteners, soy is derived from soy beans. It is used in many moisturizing products to inhibit the formation of pigmentation and buffer the outer layers of the skin. Soy milk often is found in moisturizers or sunscreens. Research suggests that results usually can be seen after three months of twice daily use. Steroids. Steroid creams come in many strengths and are used mostly in medical grades by dermatologists, who can prescribe the strength best suited for pigmentation problems. Oftentimes, they are coupled with aggressive regiments to reduce the skin’s reaction to vitamin A derivatives. Swiss Sprout. A powerful antioxidant phytonutrient and skin lightener, Swiss sprout brightens and evens skin tone by inhibiting pigmentation through neutralizing reactive oxygen species. Products that allow Swiss sprout to penetrate the skin for long periods of time are most effective, such as facial and eye serums, creams or masks. It is recommended to use these products daily. Vitamin C. Found in citrus fruits, vitamin C decreases melanin production by inhibiting tyrosinase and lightening skin hyperpigmentation. It improves skin’s collagen and fiber production. It also is a protective antioxidant. Different forms of vitamin C are used in formulations. It is important to consider the stability factor of the vitamin C form used. Using vitamin C in a serum generally helps improve the penetration of moisturizer; however, it does tend to be drying for the skin. It also boosts the efficacy of the SPF used afterwards. Choose a serum with a concentration of at least 10% vitamin C. Apply prior to moisturizer and SPF. For sensitive skin, reduce usage to once a day or bi-weekly. As a skin care professional, your job is to find safe and effective services that brighten without irritating the skin. The good news is that licensed estheticians now have an array of choices available to combat hyperpigmentation, from photo facials and laser therapy to medical- and gentle-strength peels. Customize a program for your client that is within their reach and consider each individual’s unique circumstances. Unlike department store or internet purchases, you can prescribe a targeted program based on skin type, lifestyle, client background and ethnicity. Combine these factors to personalize professional peels and brightening facials. Take everything into consideration and advise clients that they can expect to see transformation and results within three to six months. Two services that may best enhance anti-hyperpigmentation treatments are microdermabrasion and light epidermal peels. Couple microdermabration treatments with lighteners and AHAs for a standard treatment as a series of six or more in conjunction with proper at-home routines for maximum results. In the medical setting, photo facial treatments are powerful and can destroy the cells that create dark pigmentation, while leaving the skin’s surface unharmed. Coupled with effective sun management programs and at-home lighters, laser treatment sessions yield excellent results in most Fitzpatrick skin types (up to IV). Dark spots will fade gradually over several weeks. For optimal results, recommend an at-home anti-hyperpigmentation and anti-aging regimen following treatment. This should include an exfoliating cleanser, an equalizing toner, exfoliating, brightening mini pads, serums for pigment correcting and brightening the face and eye, retinol+ brightening extracts for night creams, a sunscreen of 30+, BB and CC creams to camouflage and physical blockers to layer more protection. Finally, an SPF with antioxidants and lighteners should be recommended for neck, chest and hand repair. Esthetic successes in remediating hyperpigmentation can be attributed largely to the technique of skin blending and layering with aggressive and effective ingredients that transform the skin. Estheticians now can access and leverage advanced ingredient innovations and effective sun protection with SPF as high as 100. By combining effective skin lightening ingredients and formulations with proper professional treatments, your clients will see better results than what they can get over the counter. Document testimonials as well as before-and-after-pictures to showcase your superior results. In addition to your professional care and attention, your customized treatment for each client will provide the wow factor that they seek. 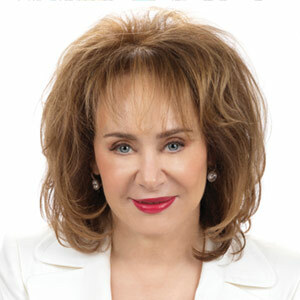 Bella Schneider, PME, is founder of Bella Schneider Beauty. She leads a team of more than 200 esthetic professionals at three premier spas. For more than 35 years, Bella has traveled the world to bring service providers the best in esthetic science; as a formulator, successful retailer and respected educator, her mission is to help professionals enhance their practice and grow their business.